I was recently invited to a very exciting event with my friend, Lynn Hill of The Clandestine Cake Club, where I was invited to a tea party to sample the Autumn range of cakes with Bettys of Harrogate – who would say no to this invitation?! With this, I found myself talking to a fantastic looking hotel in the centre of Leeds and even managed to book myself a first class ticket in a sale with East coast trains, I was set and ready to travel in style. My first experience of “first class” travel left a lot to be desired.. Between London and Peterborough the chair covers had become very creased (yes, I’m that picky) and they had run out everything except a chewy & crusty (and rather greasy) bacon roll as my breakfast option. Some Yorkshire Tea was offered with a splash of milk in my cup… as well as all over my table, of which wasn’t cleaned up or apologised for by the pourer. For a bargain bucket price, it seems I received the “Wetherspoons” special of breakfasts… it wasn’t quite the Orient Express, of course. You also get to play the fun game of “Yorkshire Tea Roulette” as you sip without trying to spill the contents of your mug down your Sunday best with every twist or turn of the carriage – for me, some dribble occurred, “Audrey Hepburn” I was not! Luckily, my luxury 4 star hotel for the night was a much more glamorous affair and it was worth popping up the night before for a much-needed pampering in my own company. 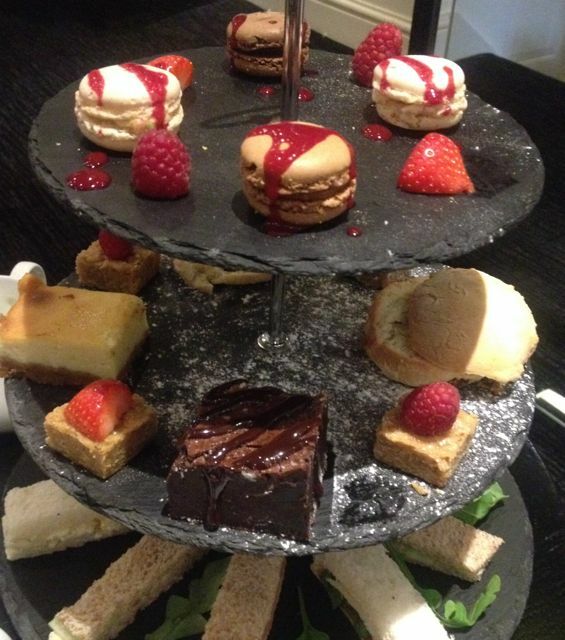 The very reason that I had been in touch with this particular hotel was through Twitter, discussing their ever so tempting afternoon tea menu after I spotted them on the National Afternoon Tea Week hashtag. Naturally, I booked myself in for a champagne tea prior to checking in for my first of many indulgences here at 42 The Calls. Traveling alone, although it can seem a little daunting, is sometimes the very best way to do it, you can eat what and when you like with no negotiations, you can selfishly sit in silence to read, write and watch the world the go by… and you can lay in until whatever time you like after hogging the luxurious bath for hours on end. This hotel allowed me to do all of this in such a way that I didn’t feel as though I was in the middle of a City, I felt so relaxed and comfortable within this hotel as a lone traveler, I could have easily mistaken for a country retreat. There was nobody else in the lounge, but me, I felt like a modern-day Marie Antoinette. 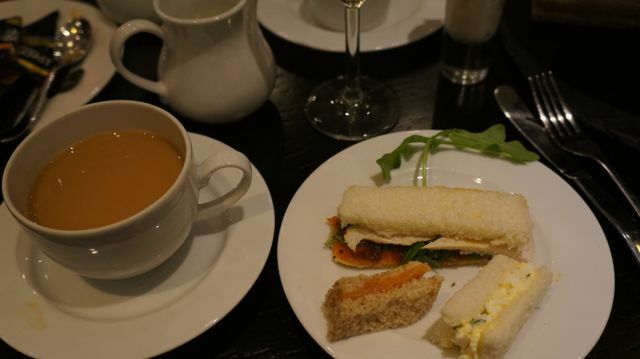 The afternoon tea filled my table and I was provided with a glass of chilled Prosecco on being seating, followed by a pot of hot water with a selection Twinings teas to add to it myself, I loved this touch – no tea menu required. Everything was prepared freshly and although the minimum number catered for with afternoon tea is 4, I hadn’t realised when I booked it that they were going the extra mile to accommodate me, I’m so thankful for their hospitality. Very thinly cut sandwiches, of which I loved as it allowed me to enjoy more than I usually would. The fillings were a plain cucumber, chicken breast & chili jam, smoked salmon and a coarsely seasoned egg mayonnaise, which was my favourite by far – truly delicious! Then there were the sweet treats. My 2 warm fruit scones with a light whipped cream and homemade strawberry jam, moist flapjacks topped with fresh berries, a bake cheesecake with (as Greg Wallace would say…) a buttery & gingery biscuit base, gooey chocolate brownie with even more chocolate sauce and a white chocolate & raspberry mousse to put me into a food coma for the rest of the afternoon. 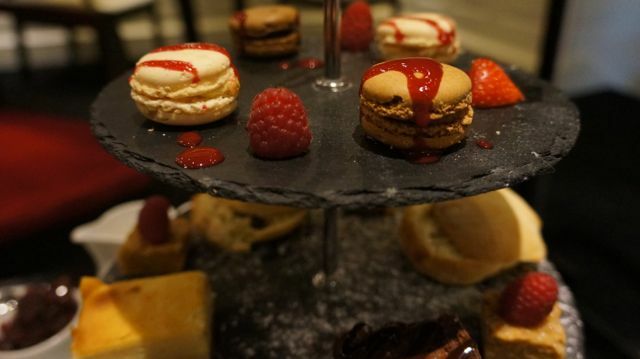 Oh, not forgetting the miniature macarons with raspberry coulis to adorn the very top of the black slate cake tier. For £19.95, this champagne tea (or £16.95 for afternoon tea) it’s true value for money and I enjoyed this completely undisturbed – it was the best introduction to my new digs for the night. I had arrived early, so I enjoyed my afternoon tea at a leisurely pace, whilst reading a book (unheard of for me) and enjoying a pampering at a nearby hair salon as I waited. The wait was more than worth it as I was shown (totally unknowing that this was about to happen) to the penthouse suite for the evening – All I can say is wow, what a room! 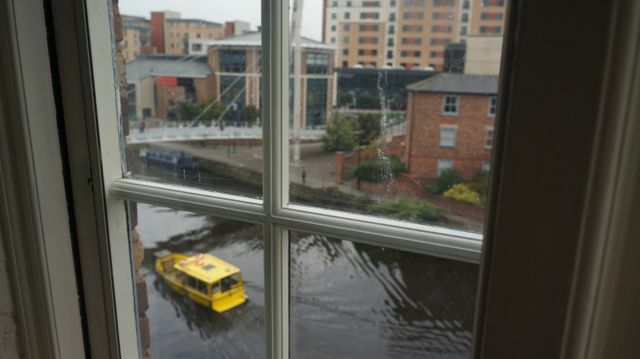 I’m starting to very much fall in love with Leeds, it’s a beautiful and stupidly exciting City with plenty of fantastic places to dine and stay, I may even be tempted to visit much more often given the opportunity. In fact, as one client lives here, I’ve started to proactively look for others in this area, this is how much I love it and the friendly people who live here! All bedrooms at 42 The Calls are unique, designed around the original features of the cornmill it once was, complete with industrial girders, oak beams and original mill mechanisms still protruding from the walls and ceilings once used to haul grain up and down. There are many different types of bedrooms, including Study Rooms, Deluxe Rooms, Director Rooms, Family Rooms, Junior Suites and The Penthouse Suite. On arrival, I presumed that I would be checking into a Study or Deluxe room, but I had been upgraded to The Penthouse Suite... my jaw dropped to the floor as she explained the newly updated technology within the room and the view worthy of a Penthouse. As a solo traveler, I was in my element, I really should have jumped up and down on the bed and ran around naked, but I’m a classy lady, I don’t do these sort of things… ahem. The Penthouse Suite is room number 302 and is home to a large bedroom with king size bed, en-suite bathroom with a beautiful ornate bath and rainforest shower, a separate lounge and dining area, a long entrance and hallway along with not one, but two toilets, both separate from the en-suite. 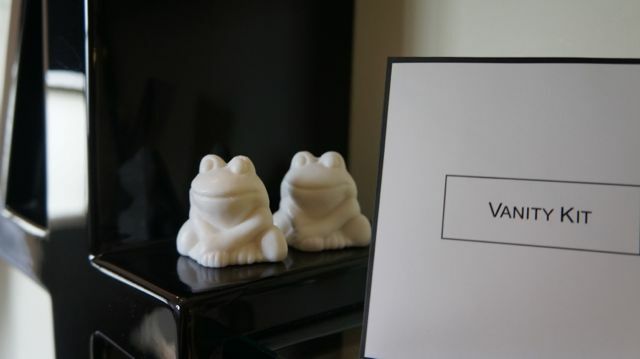 Each bathroom sink had a small signature frog-shaped soap perched on the edge or on a shelf, they are such a cute touch, I’ve never seen a shaped bar of soap such as this before, my best friend asked me to return one to her should I get the chance, so I did and made her week! 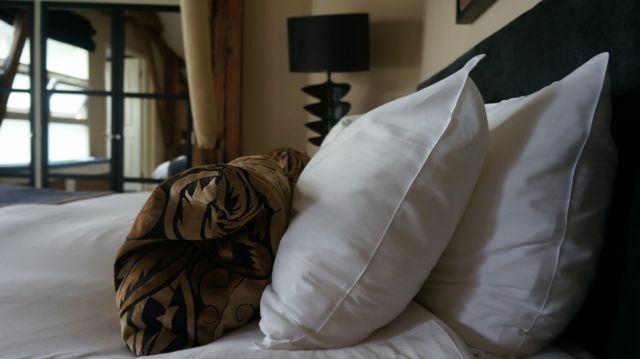 The bed was very comfortable, for somebody with a bad back, I was truly hoping not to be laying on a hard mattress, but this was firm, with some bounce, wrapped in luxury cotton sheets, goose down pillows and a nice heavy feather duvet. 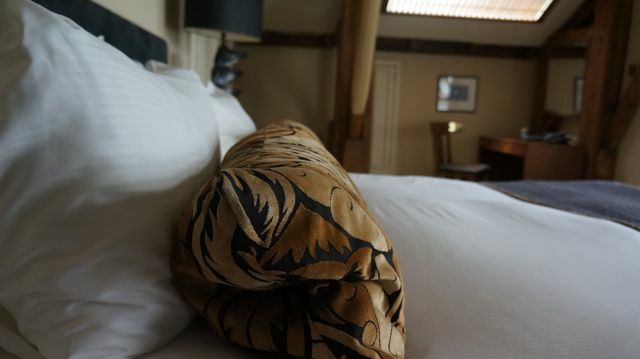 I do love a duvet that doesn’t move with you as you sleep, this rested on top of me and moulded to my body for the perfect nights’ sleep as I drifted off watching the plasma TV hovering up on the ceiling, fixed to the wooden beams above me. It was positioned in such a way that as I lay on the bed, it was in the perfect position in front of me, however if you moved around the room, it wasn’t as easy to watch… but that’s what the entire separate lounge is for – my “Coronation Street” fix after a nice long soak in the bath! The main hallway had a privacy hatch to the side, so should I wish to order room service, a newspaper or a glass of wine I didn’t need to see a member of staff, it would simply be left in the hatch for me to collect from my side of the door. There was a mini bar stocked with the usual drinks and snacks, bottled water, complimentary tea and Grumpy Mule coffee for my morning fix, homemade shortbread and fudge to nibble on something sweet. 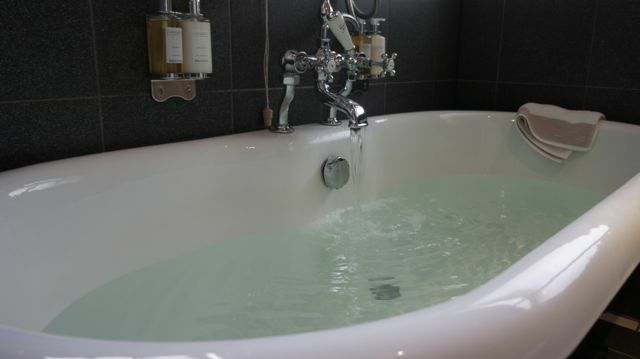 It was refreshing to see topped up not only in the shower, but over the deep, luxurious bath as well, The White Company toiletries – shampoo, conditioner, body wash and body lotion. I ensured that I got as much use out of those four bottles every time I used the bathroom to pamper myself (twice within the space of 24 hours in fact) and liked the fact that I didn’t have to resort to my own, of which does happen from time to time. Opening all the doors, cupboards, drawers (who doesn’t do this?!) I spotted a bible, the obligatory trouser press and iron/ironing board, even a shower cap and shoe polishing kit, the room is very well thought out and The Penthouse even has an emergency phone above one of the loos, I found this quite amusing, I’m not sure why. I was headed to a very special event with The Clandestine Cake Club & Bettys of Harrogate that morning, so I opted out of breakfast, purely for reasons based around my waistline. 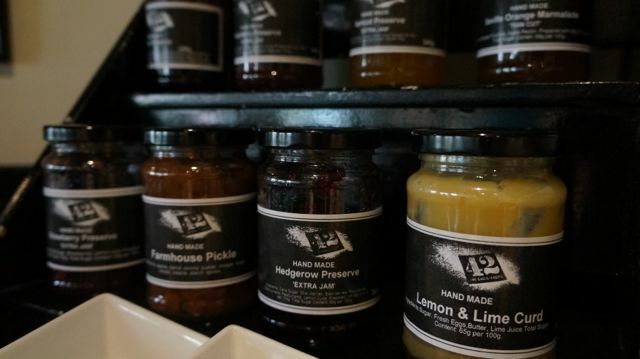 However, the team at 42 The Calls are very proud of their locally sourced breakfast, complete with 12 varieties of seasonal sausages, an array of homemade jams, marmalades & curds, cereals and everything else you could possibly imagine desiring. In fact, their sausages (with choices such as venison, pork & chive, garlic & tomato or pork & black pudding) even have their own Twitter hashtag: #thefamous42sausages and I’m trying as many as I can next time I visit! 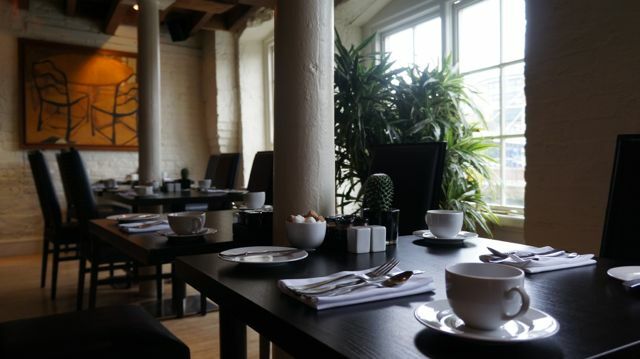 The breakfast is served in The River Room, with a view of the River Aire between 7am – 9:30am, with a stunning and dramatic room, large floor-to-ceiling pictures on the walls and low wooden beams, this is a breakfast room with true character. 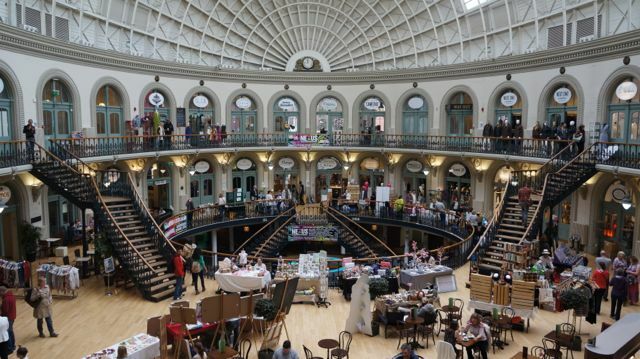 Being in Central Leeds, you can simply step out and walk across the road to find yourself at The Corn Exchange (the perfect place for a quirky shopping experience) and the Trinity shopping centre not far from there. The Trinity Kitchen plays host to a very exciting “street food” scene, with street food vans traveling from around the country to reside here for a month at a time, making it different every time I visit. In fact, I recently learnt that in order to get your van inside this venue, they have to lift off the roof and pop the vans in by crane… I would personally LOVE to see this happening! Laynes Espresso is the perfect independent coffee shop if traveling by train, it’s just to the right of the station and I end up in here for a while every time I visit the City. Great coffee, chilled out vibe, fantastic music selections and no wifi – peace & quiet guaranteed. 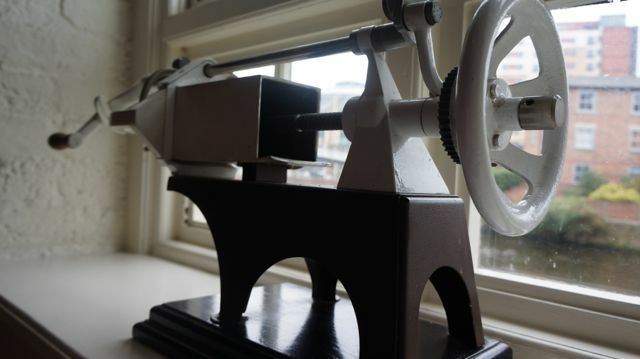 If you want to do the touristy stuff, you have the Armley Mills Industrial Museum, Royal Armouries, Harewood House and if you wish to travel a little further out, you could visit York, or head to the Yorkshire Dales for some fresh air. There’s no on-site parking, but the nearest car park is the Markets NCP located on New York Street next to the Bus Station and a ticket for this can be purchased from Reception at the cost of £14.75. If coming by train, this hotel is simply a 10 minute walk from the station and very easy to find on foot. Everywhere within town is walkable, I didn’t need to use a taxi once, everything is very close by. East Coast trains had a sale on their tickets from Peterborough to Leeds, so I nabbed quite the bargain on this occasion – it’s well worth keeping an eye out on their website for these sort of deals, it’s working out cheaper to head to Leeds than to London for me lately. On being shown to my room, my luggage was brought up for me after my tour of the hotel and my suite, it was seamless and I had in fact forgotten I didn’t have it with me. The staff were knowledgeable and friendly, I really couldn’t fault their welcome at all. With a stay in this particular suite, you are offered a complimentary glass of wine, of which I was allowed at any time to suit me, all I needed to do was call down to reception when I fancied it, perfect. I noted that this is a dog friendly hotel, they are even happy to fill up a dog bowl on arrival and suggest the perfect walk for you and your four-legged friend, noted for my next visit, Eddy would love the canal and river paths. Free wifi is offered all guests staying within the hotel, with a dedicated password being provided on arrival, this lasted for the duration of my stay and allowed me to listen to my Spotify playlists as I chilled out. I had not one problem with getting onto it, very fast and simple, that’s what I like to see. On getting into my bath, I stupidly hadn’t put the latch on my hotel room door, although it didn’t occur to me to do so right away, as I had been too busy getting acquainted with my humble abode. As I was soaking and starting to drift off, I heard somebody walk into the entrance to my room, shout to see if anybody was in (obviously a member of staff) and then apologise and swiftly leave. 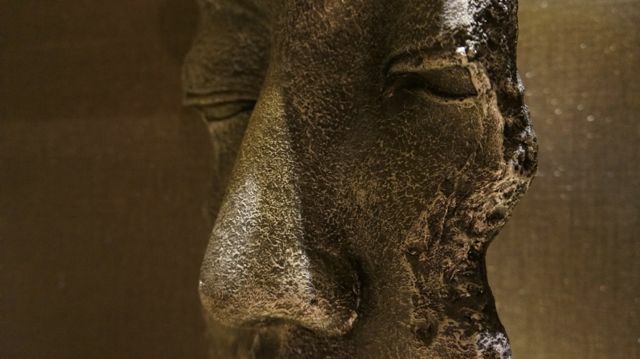 This left me slightly spooked and I started shouting from the bath a simple “Hello?…” to see if they were still there. Needless to say, I spent the rest of the stay with my door bolted shut. One of my pillows had a loose pillow case, of which kept rolling up the pillow as I slept. I noticed the pillow itself had a slight stain on it, so I made the reception team aware and this was swiftly sorted. I could not fault the hotel team one bit, they seemed to be a fairly small team and nothing was ever too much trouble. On packing the next morning, there was a rushed knock at my door and one of the housekeeping members started shouting something through my door, I ran to them as fast as I could (it’s quite the maze in that suite!) and she asked me if I’d had anything from the mini bar, crossed me off her sheet and walked away… I found this most odd, surely this would be obvious on cleaning my room once I’d left? A small point, but I have never experienced such confusing conversation – could they have not called my bedroom phone to ask the same question in a less invasive manner, perhaps? 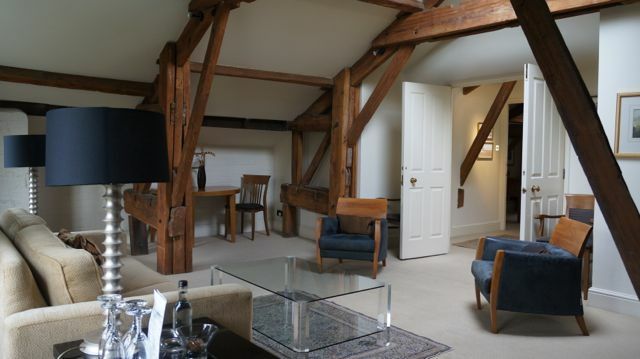 My suite comes in at around £240 – £260 per night, as a guide – breakfast not included. I stayed mid-week and the hotel was very quiet indeed, the room overlooks the river and it’s truly peaceful during the day, but can be a little noisy of a Friday evening. However, this did not affect my stay in any way, the bedroom was across the hall and I didn’t hear a peep from my king sized bed. 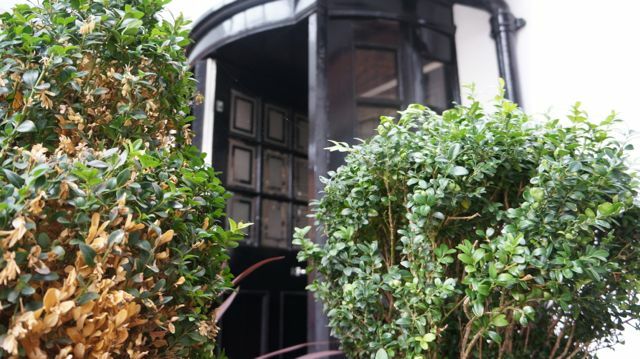 They also offer private dining and meeting room space for conferencing and events, this would be a mighty fine place to host an event, so this is a venue worthy of mentioning. 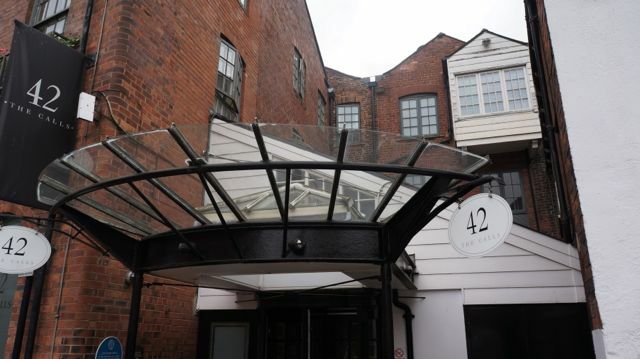 42 The Calls often have a discount or offer on some of their rooms, so please do check out their website for the latest news. If looking to book afternoon tea with this hotel, please note their minimum number is 4 people, I only learnt this on chatting to one of the team, so do call ahead to discuss your requirements. Please note – This stay was complimentary (I simply paid for my afternoon tea and additional drinks), following a visit to view this venue and meet the team. I am in no means obliged to blog or write about their offerings, but I simply choose to share their offerings with my readers, should I enjoy the experience. The service team that work on the day or duration of my visit are not aware of my reasons for visiting, to enable a fair review.